Charming. For the hotel itself and its surroundings. 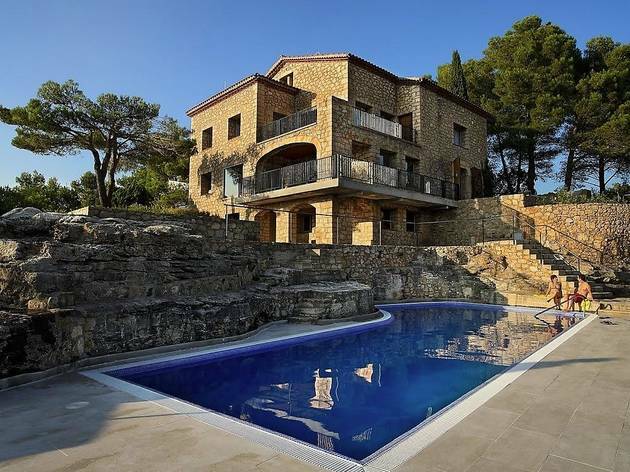 A very comfortable hotel, classified as a four star establishment, which is the result of the reconstruction of a mansion on the cliffs of Siurana. It has six bedrooms, as well as a swimming pool, a garden, a wine cellar, a tasting room and a cinema room, and guests can dine in its Carcaix restaurant, which presents us with a whole world of culinary sensations. From €140 for a double room with breakfast.